Hugh Turner rounds third base on his way home during Moffat County's second game against Gunnison on Saturday in Craig. The Bulldogs went 0-2 and couldn't shut down the Cowboys' offense. Moffat County matched up with one of the best league teams it will see all season Saturday and didn’t stack up. The Gunnison Cowboys hit Moffat County’s pitching hard during two games and remained undefeated, beating the Bulldogs, 19-5 and 16-3, in Craig. The Bulldogs didn’t play poor baseball but didn’t have the hitting to stick with Gunnison. The first game of the day started out well for Moffat County. After Gunnison took a 1-0 lead in the top of the first, Moffat came back with five runs in the bottom of the inning. After giving up just three runs in its first three games this season, Gunnison trailed for the first time all year. But the Cowboys scored two in the second and five in the third to reclaim an 8-5 lead. Moffat County kept the lead within 10 runs and extended the game beyond five innings but couldn’t capitalize on the extra time. Down 13-5, the Bulldogs were turned away in the fifth and sixth before Gunnison picked up runs in the final inning. The Cowboys were aggressive on the base paths both games, always looking to steal and take an extra base when the opportunity was available. That put more runners in scoring position and the Cowboys hitting brought them home. The Cowboys were seeing everything well to start the second game with several doubles and a two-run home run giving them a 10-0 lead right off the bat. 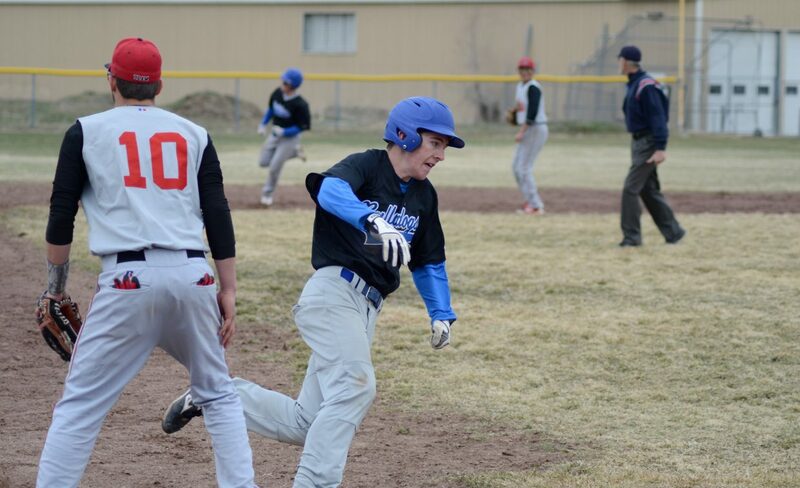 Moffat County got hits from Hugh Turner and Brett Loyd to lead off the first and scored two runs of its own but never was able to get back into the game. Gunnison tacked on a couple runs the rest of the way and the Bulldogs scored in the fifth to make it 16-3. Moffat County is now 3-3 this season and will resume play in two weeks, after spring break.